Trophy trout can be yours! 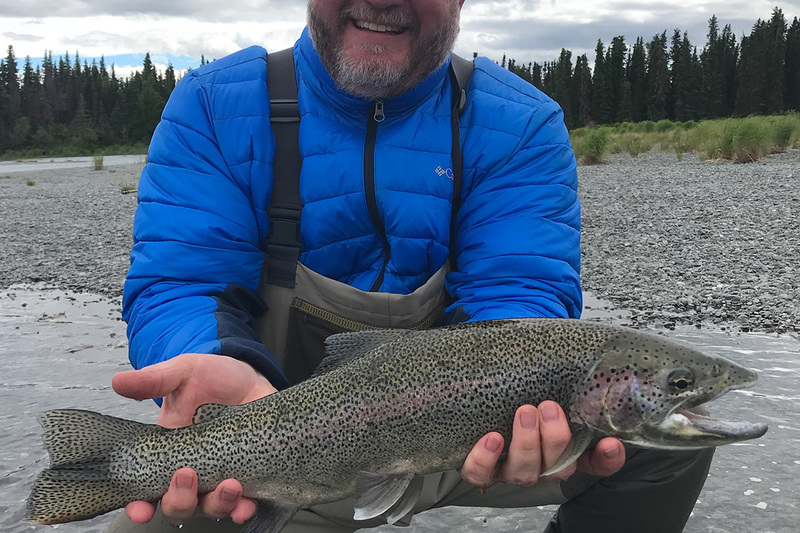 The Kenai River was originally famous for its Trophy-Class Rainbow Trout fishing, long before it became popular for the terrific Salmon fishing found here. This outstanding Rainbow Trout fishery continues today, with native trout over 20 pounds landed every year. 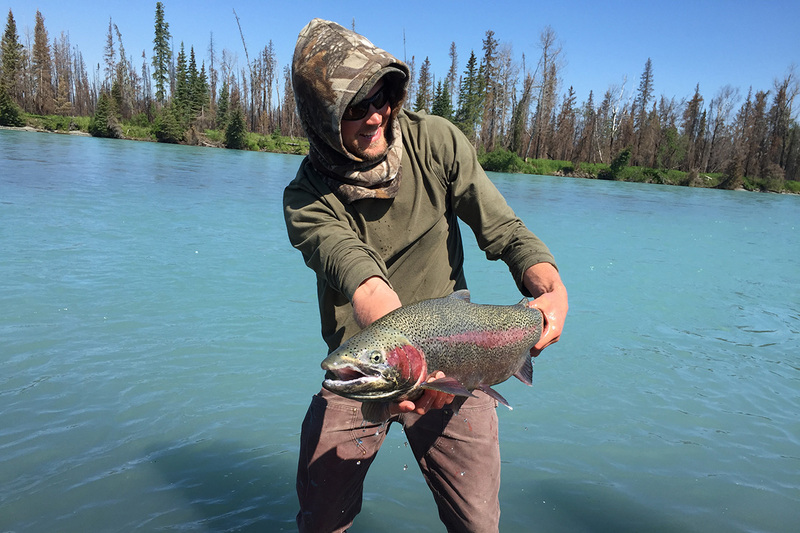 You’ll float the Kenai in our drift boats with a seasoned guide, fishing as you drift . 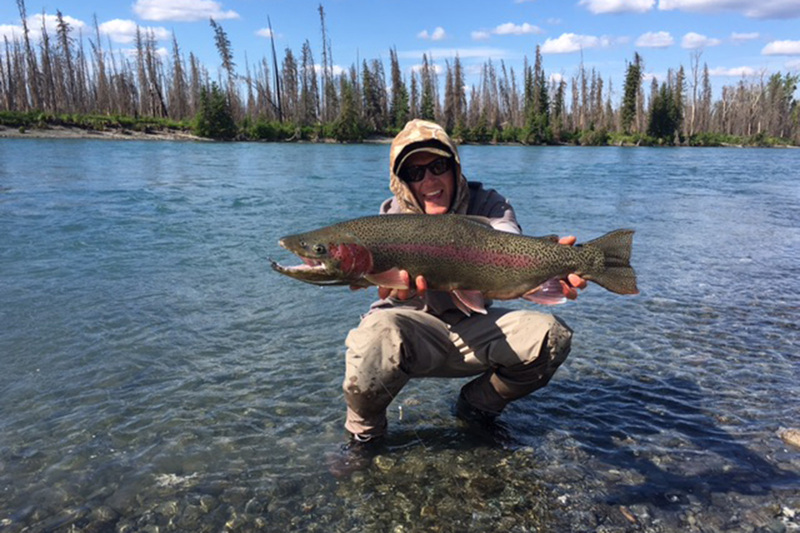 You’ll stop on gravel bars for lunch and wade casting. Your guide is equipped with both fly-fishing and spin-casting gear, so the choice is yours. Any and all gear is provided as part of your package. The season begins each year around June 12th and runs through September. Permits for fishing in this National Refuge are limited, so early reservations are a must! If you are a beginner fly-caster, this is a great opportunity to learn the basics from your guide. We specialize in hands on instruction for those who would like to learn. 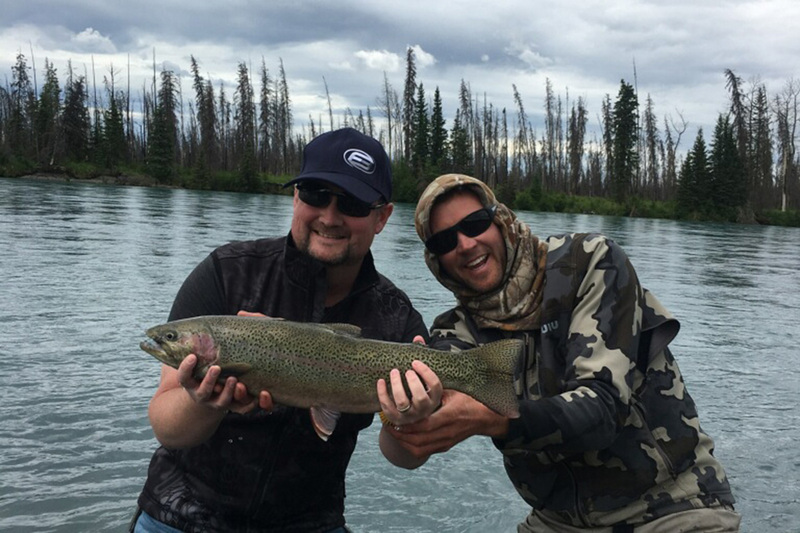 Our rainbow trout boats adhere to a strict catch-n-release policy.